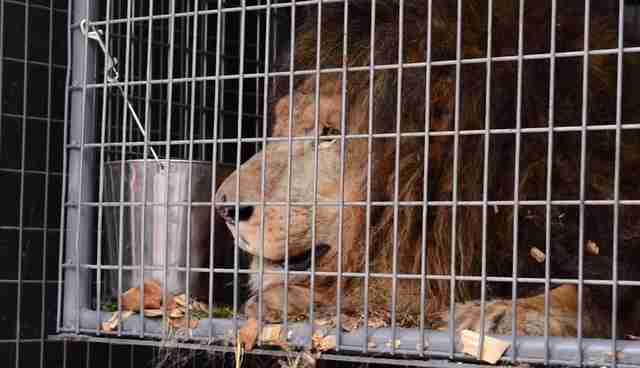 No creature should ever be subjected to a life of pain and abuse - and certainly not a king. But while past injustices can never be rewritten, the future can always be made a little brighter for those who had to endure them. 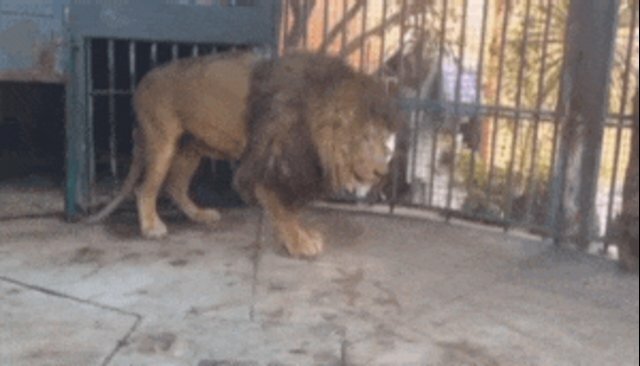 For years, an elderly lion named Guero had been held prisoner at a private residence in Mexico. Trapped in his sparse enclosure, he exhibited clear signs of suffering, both physical and psychological. Not only had his once-powerful teeth become worn down to nubs from gnawing on the bars that lined his cage, Guero also had a broken neck that was left untreated. 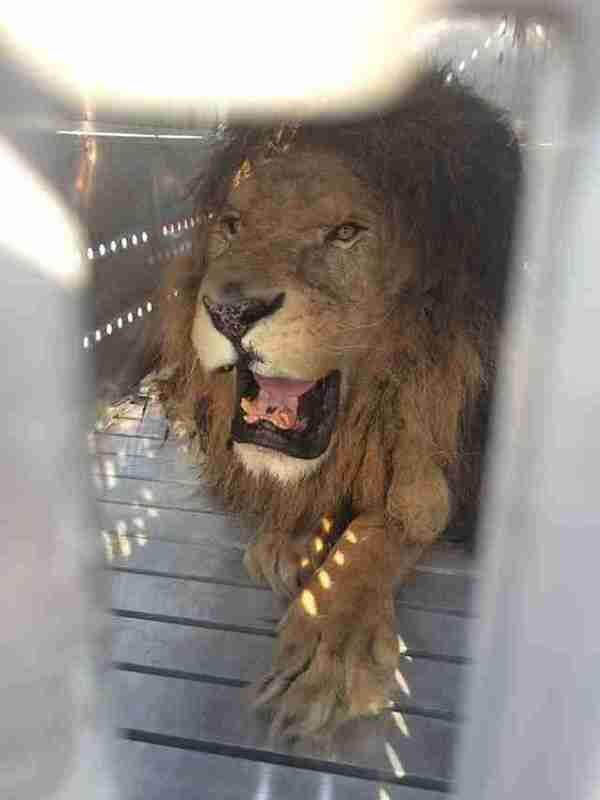 As a result, the lion walked with a limp as he paced restlessly with no hope of escaping. Fortunately for the bedraggled animal, help did arrive. A local rescue group was able to secure Guero's release, after which they reached out to The Wild Animal Sanctuary in Colorado in hopes of getting him medical treatment, and a new home where he could live out his days in peace. 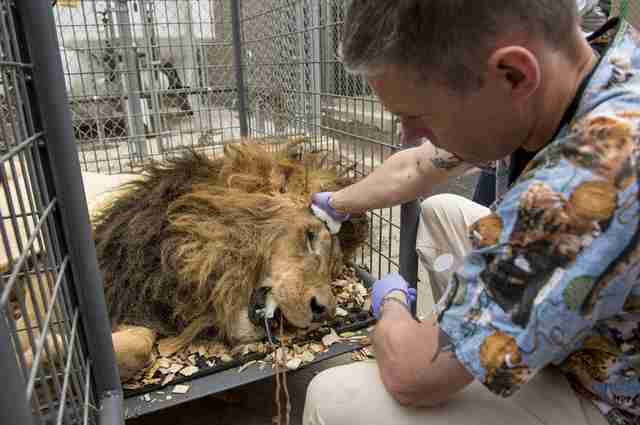 Relocating Guero wouldn't come cheap, but rescuers were able to raise enough money from donors to fly him via private plane to the United States. 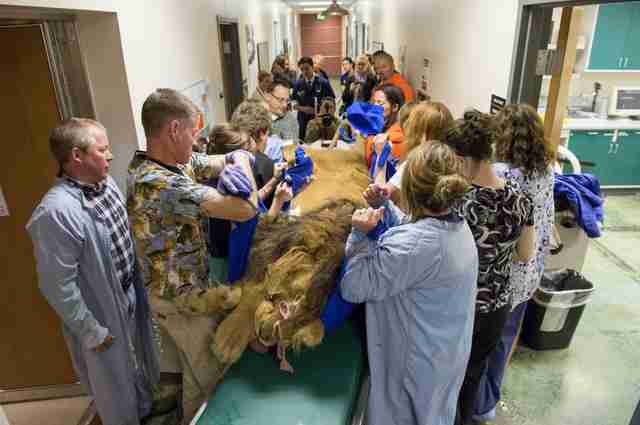 Last week, the elderly lion touched down in Colorado where he was met by caregivers to begin treatment for his broken neck and numerous other maladies. At long last, Guero was alone no more. 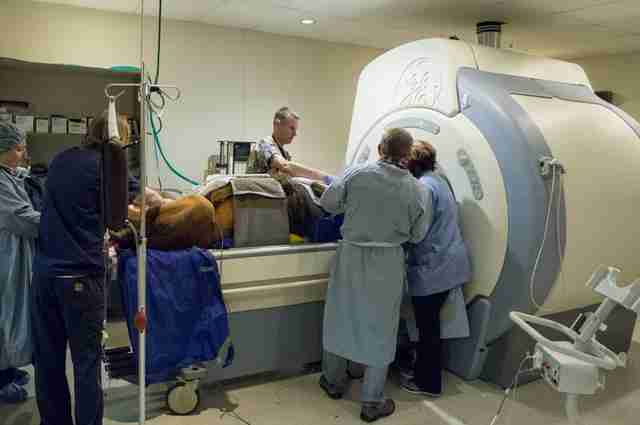 A whole team of vets from Colorado State University's Veterinary Teaching Hospital leapt into action, assessing what could be done to improve the remaining years of the lion's life. 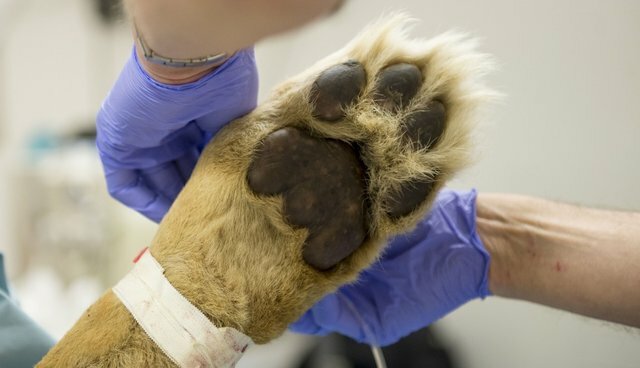 "With patients like this, it often takes a hospital to treat a patient," Dr. Terry Campbell, a specialist in exotic animal medicine, said in a release. "That's why CSU is perfect for cases like this, because we have so much expertise in a variety of medical specialties." Performing surgery on Guero's broken neck was deemed to be too risky given his age and the amount of time it had gone untreated, so they decided instead to prescribe medicine to ease his discomfort. 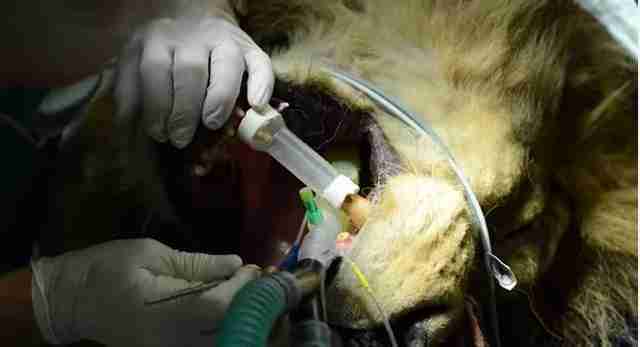 Meanwhile, a dentist was able to help correct the lion's broken teeth, allowing him to eat once again without pain. On Monday, Guero will be moved to his new home on the sprawling 720-acre Wild Animal Sanctuary - thousands of miles from where his sad story began, and immeasurably closer to the dignity he deserves. "We think he'll most likely live another three to five years, but even if it's a year he lives, we're going to make sure that he's comfortable and happy – good food, soft ground, some grass to play on and some fresh air to breathe," said Rebecca Miceli, from the sanctuary.